Bodhi & Birch first came into my life way back in 2012 when I reviewed Ylang-Ylang Incensa. The products made a lasting impression and since then I have purchased them for friends and family. I had a long standing love affair with Mint Thé, followed by Desert Rose face oil and Mint Thé Temple Balm (which I still haven't got around to reviewing). 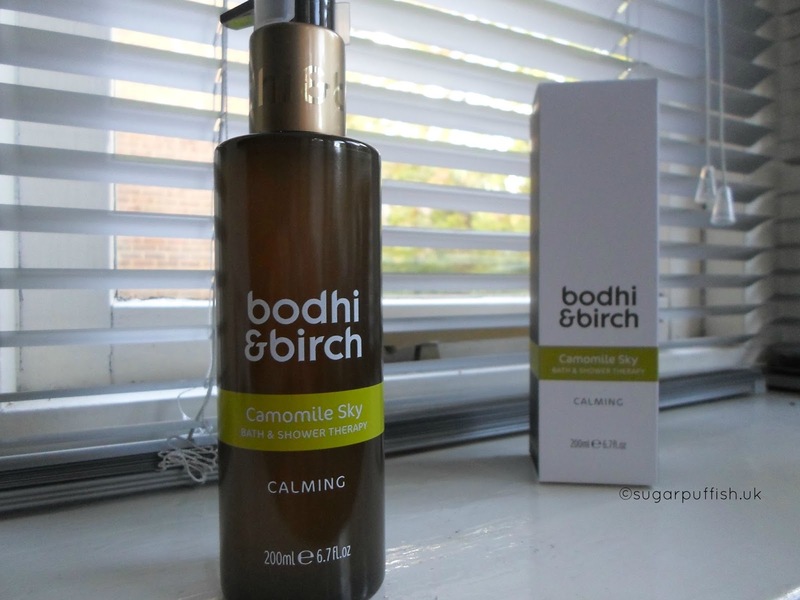 A while ago Camomile Sky was the new addition to the Bodhi & Birch fragrance family and I have had the pleasure of testing it out for myself. Camomile Sky is a beautiful scent of Geranium, Palmarosa, Bergamot, Hyacinth, Neroli and of course Camomile. As with all Bodhi & Birch products the fragrances are indulgent and therapeutic with ingredients that are calming, soothing and uplifting at the same time. Describing scents is not easy but with Bodhi I always hesitate because our sense of smell varies and the complexity of ingredients mean different notes will be prominent to me but not you. "Capture a sense of calm and purity with a fresh floral blend of delicate Camomile, sugared Hyacinth and blushed Geranium. A drift of powdery air filled with sweet florals and the comforting warmth of soft honeyed musk. Skin is left rejuvenated and senses are gently calmed, enlivened in an aura of quiet contentment." In recent times I have to use Bodhi & Birch sparingly and it makes me very sad. The dermatitis on my body flares from time to time and products heavy with essential oils can slow down recovery. For this reason the bath and shower therapies become a special treat and in between I drown my sorrows in a pot of Temple Balm. Despite my own skin issues it does not stops me recommending or lusting over Bodhi & Birch. If you have never tried this brand then I insist you treat yourself this very instance! If you use Bodhi & Birch products, which are your favourites?